When it comes to finding a new job, there’s a crucial step in the resume-writing process you may not have heard about to improve your chances of making it past the initial record of screening. “With… more and more recruitment services transitioning to being solely online, HR departments are using difference computer programs to scan through resumes and pull out documents based on the frequency of certain words and acronyms, ” says Valerie Streif, senior advisor at Mentat, an organization that hires, manages and mentors prospective job candidates. 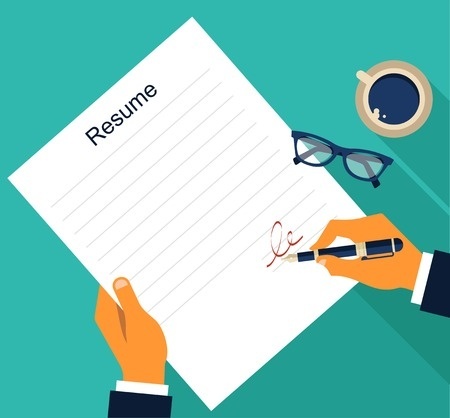 While you painstakingly perfect your resume, remember that a hiring manager potentially has to sift through dozens of other resumes and use an applicant tracking system (ATS) to cut through the clutter. Keep these tips in mind when writing your resume to help you get your foot in the door. Master the art of sprinkling keywords throughout your resume. Cheryl E. Palmer, owner of executive career coaching firm Call to Career, recommends including a section at the top titles “Core Competencies” where the keywords could be highlighted prominently. “That way, the keywords are at the top of the resume and are easily found, [and] you can also judiciously sprinkle keywords in the ‘Professional Experience’ section,” she says.